A twisted, psychological thriller/who-done-it that, for the most part, holds up over time. 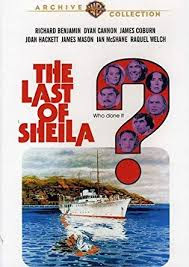 Originally released in 1973, The Last of Sheila is well acted, well written, and uses it’s sets to full advantage. For fans of today’s horror/thriller movies, this one will probably seem too slow paced and dialogue heavy. For those who like to solve puzzles, though, the film will keep you on your toes right to the end. It reminded me of movies by Alfred Hitchcock, which isn’t surprising since Anthony Perkins of Psycho fame co-wrote it. It also reminded me of a creepier, less campy version of the movie Clue. Highly entertaining and enjoyable to watch. This is a brand new board book that just came through and we immediately thought it would be a story time hit! If you have a young child that loves either singing or animals, you will have a great time reading (or singing!) this book aloud as the animals take part in the Hokey Pokey. The staff here have loved it so much that babies and toddlers who attend story time will soon see it in the regular rotation. Great story with a surprise twist. 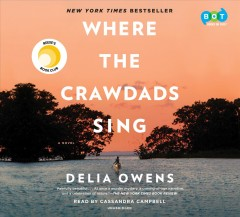 I especially enjoyed listening to the audio version of this book as the narrator, Cassandra Campbell, does an excellent job representing the characters as Delia Owens portrays them.